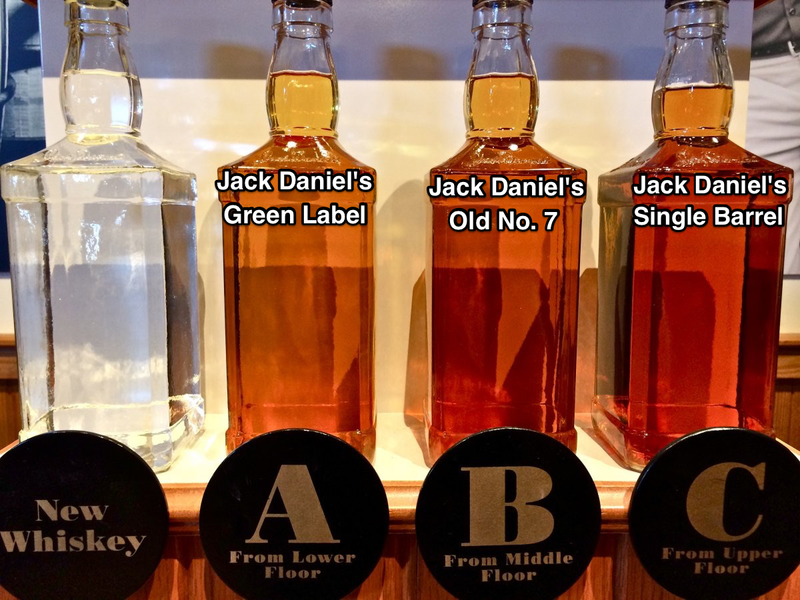 WASHINGTON, DC — According to Jack Daniel's Master Distiller Jeff Arnett, the US military buys the most of the brand's premium Single Barrel whiskey in the world. The price tag for an entire barrel of this whiskey, approximately 250 bottles, swings from $9,000-$12,000 since no two whiskey barrels have the same volume. Single Barrel whiskey was first sold in 1997 and was such a success that the distillery created the 'By The Barrel' program a year later. "Over the entire span of when the program has existed, the US military is the largest purchaser. It has been represented by base exchanges, individual units, as well as other on-base military entities like Officers' Clubs," Arnett told Business Insider. During a visit to the distillery in Lynchburg, Tenn., our tour guide said it is believed that Navy SEAL Team 6 bought a barrel after the successful raid on Osama Bin Laden. Although, we could not confirm, parent company Brown-Forman did share, "SEAL teams have purchased barrels before but we can't officially confirm Seal Team 6." At the distillery, only 1 in 100 barrels makes the cut for the select 94-proof Single Barrel whiskey. In an average 560-pound, 53-gallon barrel, there are approximately 250 bottles-worth of Jack Daniel's Single Barrel whiskey. A prospective whiskey barrel buyer is invited to tour the distillery in Lynchburg, Tennessee and meet with an expert Jack Daniel's Master Taster and sometimes the Master Distiller, Jeff Arnett. The buyer samples whiskey from 3 handpicked barrels along with the expert. After the tasting, a buyer selects a barrel and then later receives the empty barrel along with approximately 250 bottles. The bottles are individually numbered and personalized with a custom metal hang tag. The top of the barrel is also engraved before it is shipped to the buyer. And in the distillery's Single Barrel room, the buyer gets their name engraved on a plaque. Those who buy more than one barrel are given a medallion on their tablet. 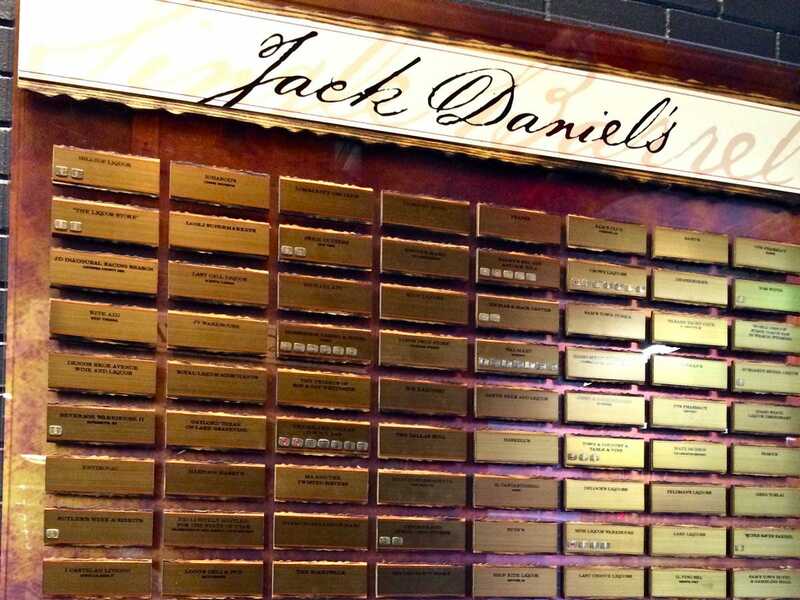 MacDill Air Force Base's plaque reflects the purchase of 7 barrels of Jack Daniel's Single Barrel whiskey. According to Arnett, Jack Daniel's derives all of its' color and most of the flavor from the handmade charred oak barrels. Single Barrel whiskey sits on the highest level of the distillery's barrelhouses where temperatures can reach up to 120-degrees Fahrenheit, the fluctuations in temperature give this whiskey the most interaction with the barrel, and therefore a darker color and more robust flavor. The following four bottles show the impact time and temperature have on each whiskey product. The first bottle is whiskey directly from the still, next is Jack Daniel's Green Label kept on the lowest floor of the barrel house, Old No. 7 comes from the middle floor, and Single Barrel Whiskey is kept on the top floor of the barrelhouses. The distillery's relationship with America's troops spans further with the creation of the "Operation Ride Home" program. "The men and women of our armed forces have been some of the best friends of Jack Daniel's over the years, and Operation Ride Home is a continuation of our longstanding support of our nation's military," Arnett told Business Insider. Since 2011, approximately4,606service members have benefited from free travel from their military bases to homes in order to celebrate the holidays with their families. "The stories of those servicemen and women who have been able to go home for the holidays are truly heartwarming. There's nothing like being with family during the holidays, and we hope everyone will join with us to get as many of these heroes home this year as possible."